While there isn't a "Camera Roll" anymore in iOS 8 for your iPad, iPhone, or iPod touch, the photos that were once in it are not missing—they're just not as convenient as they once were. In the upcoming iOS 8.1 update, Camera Roll will be making a comeback, but we've found something better that you can use right now—even after Camera Roll returns! The app we'll be using to replace Camera Roll is called MyRoll, by Flayvr Media, and it's available for free in the iOS App Store. This app brings back the same basic functions of Camera Roll, as well as a few extra features that make it even better. In MyRoll, all of the images on your iPad, iPhone, or iPod touch can be seen with two different views: Moments and Gallery. Moments automatically organizes images into moments, much like the stock Photos app does, but you can also sync MyRoll with your calendar to help organize pics further with specific events. 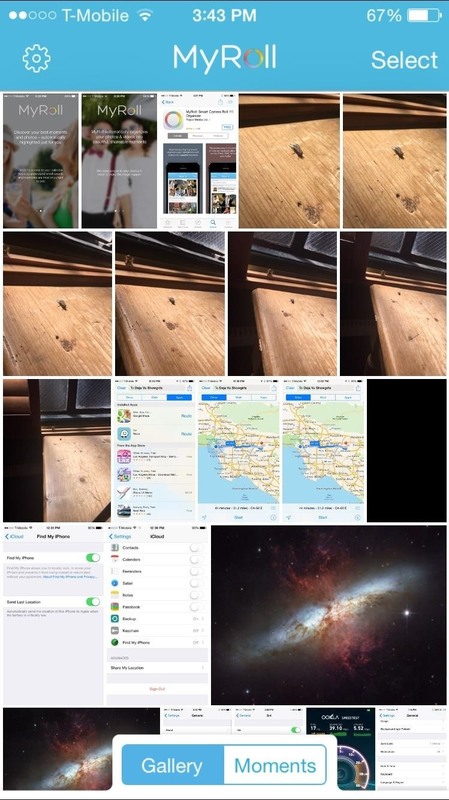 Gallery functions as the Camera Roll replacement, with all of your photos and images located in one place. 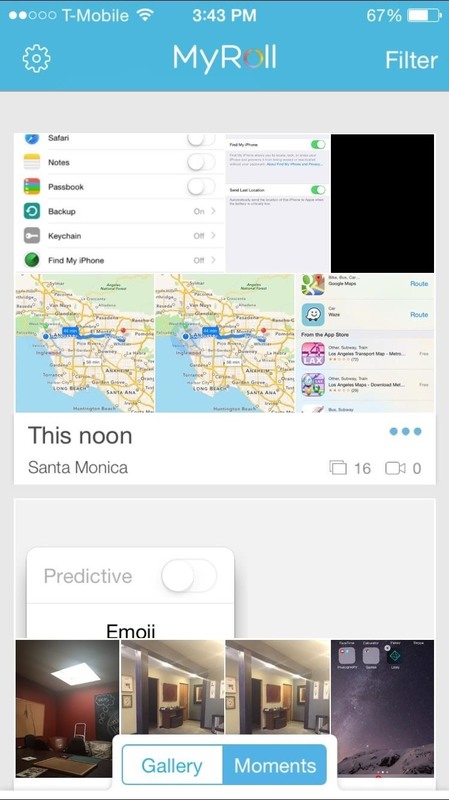 The Moments view also allows for some basic gestures to help hide or merge events. 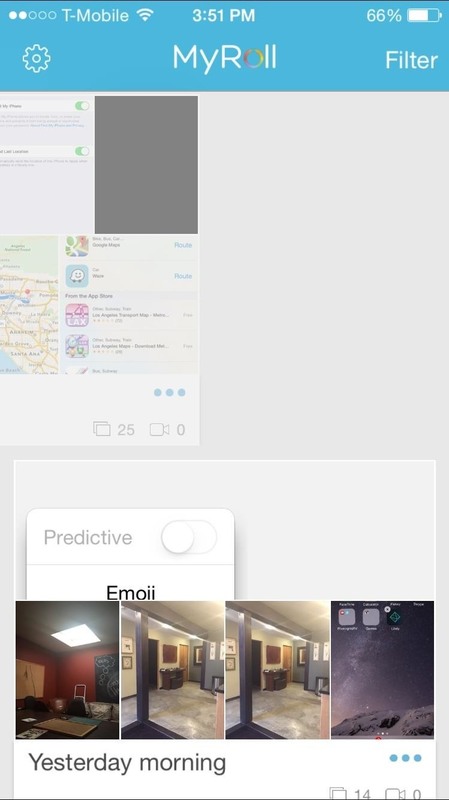 To hide an event, simply swipe to the left—you can see these hidden images by selecting Filter -> Show Hidden. To merge two events together, just select them both, then pinch 'em together. (1) Hise photos. (2) Merge moments. If you hit the cog icon in the top left, then choose Select Album, you can pick which album will be displayed in MyRoll. 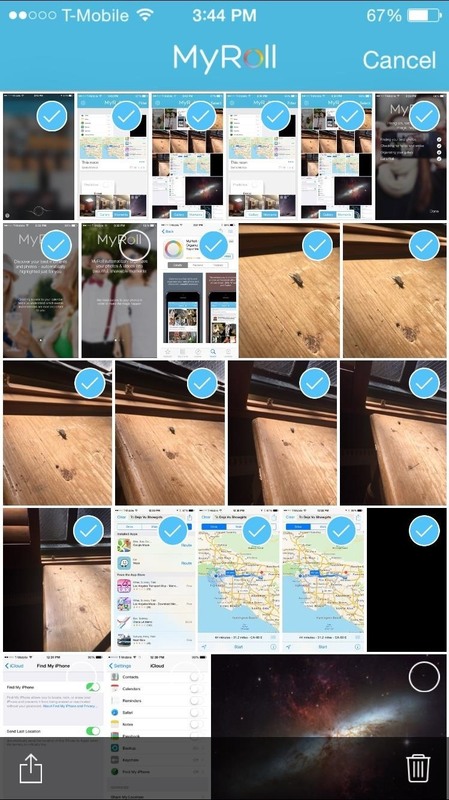 The default one is Camera Roll, but you could also switch between Instagram, VSCO Cam, and any other third-party photo albums you have. 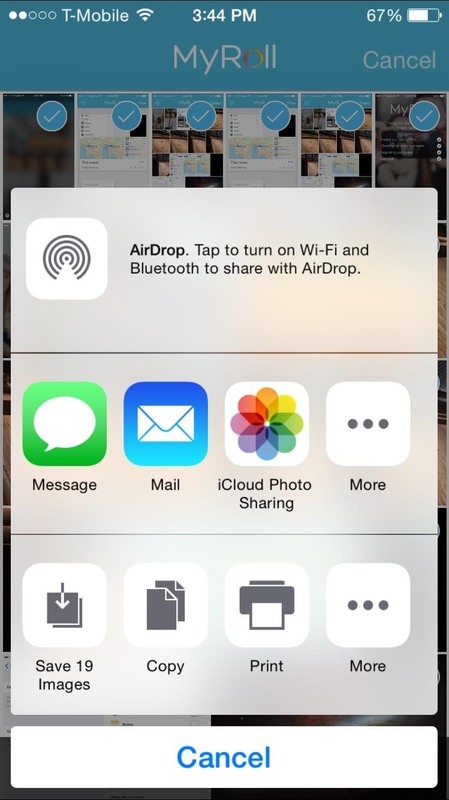 One of my biggest frustrations with iOS 8 is the inability to email more than five images at a time. 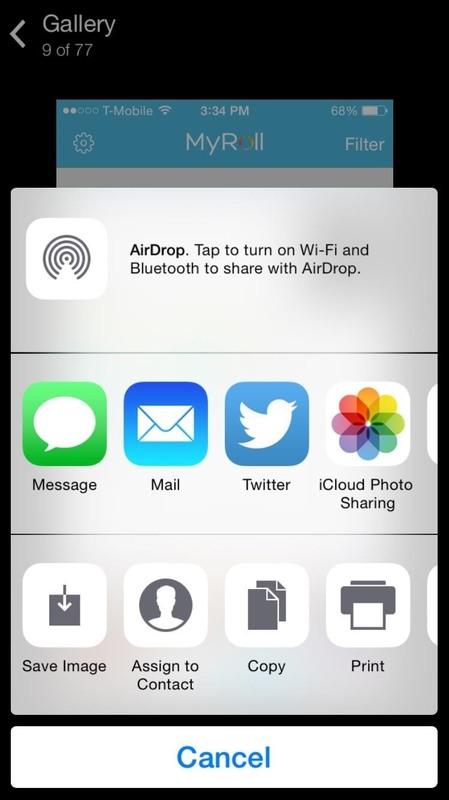 In the first iOS 8 beta, they did include this feature, but removed it shortly thereafter and it never came back. With MyRoll, you can email as many images as you want! Hallelujah. The ability to share images via Facebook or Twitter is also available, just like the Photos app. 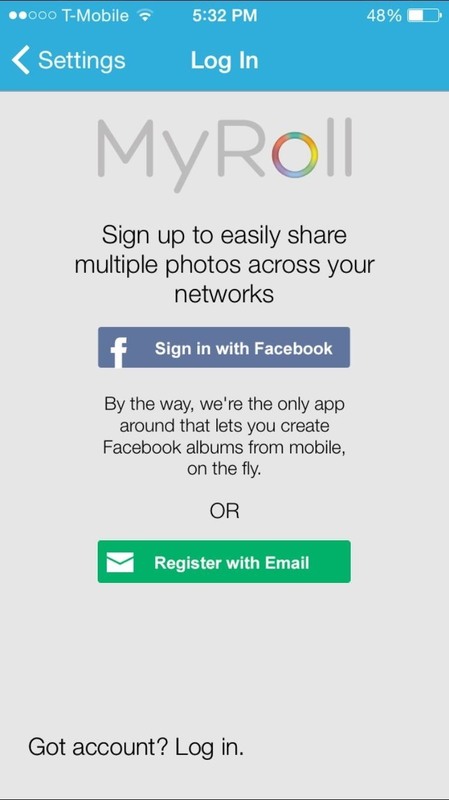 MyRoll does not require you to sign in, but it is, as stated, the "only app around that lets you to create Facebook albums from mobile, on the fly." Packed with great features, MyRoll is definitely worth trying out, especially if you've been missing Camera Roll. One small downside that I noticed, unlike in the stock Photos app, is that MyRoll does not distinguish between HDR photos and regular ones. So, if you take a lot of HDR pictures, figuring out which ones they are could be difficult. 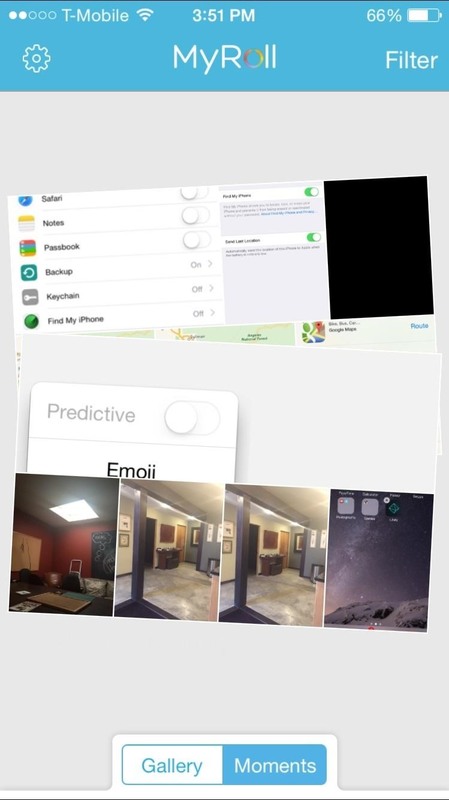 Will you stick with MyRoll even when the Camera Roll returns in iOS 8.1? Let us know what you think about MyRoll in the comments section below as well as on Facebook and Twitter.